The great thing about having a fireplace in the home is that it allows us to enjoy the radiant warmth of the fire, without stepping foot into the cold, night air. We’re able to gather around the hearth and let the heat warm our bones, right in the comfort of our own homes. From where we sit, the fire is comforting and takes the chill off, but for the firebox, the heat is intense. Fire temperatures can reach temperatures upward of 2000 degrees F, and as the area hosting the fire, the firebox is exposed to these temperatures for hours on end. Even the toughest firebox can develop damage over time, commonly in the form of cracks and gaps. Once these cracks and gaps appear, they can begin letting the intense heat of the fire, as well as toxic gases that would normally be vented through the chimney, into the nearby framing of the house. As these cracks and gaps expand, they’ll let more and more heat and byproducts transfer, and can even allow stray sparks and hot ash to ignite nearby framing and cause a rapidly spreading house fire. But with Jiminy Chimney, you can put these fears to bed. If your firebox is damaged and in need of repair, don’t let it keep you from enjoying your fireplace. Jiminy Chimney’s team of professionals can make the needed repairs or rebuild your firebox fast and effectively. We’re masonry experts who have carefully studied our trade and perfected our tuckpointing and brick replacement skills to ensure the highest-quality and most beautiful results possible. We’ll restore your firebox using strong, heat-resistant refractory mortar and firebrick, both of which are designed to withstand the highest temperatures, fire after fire. 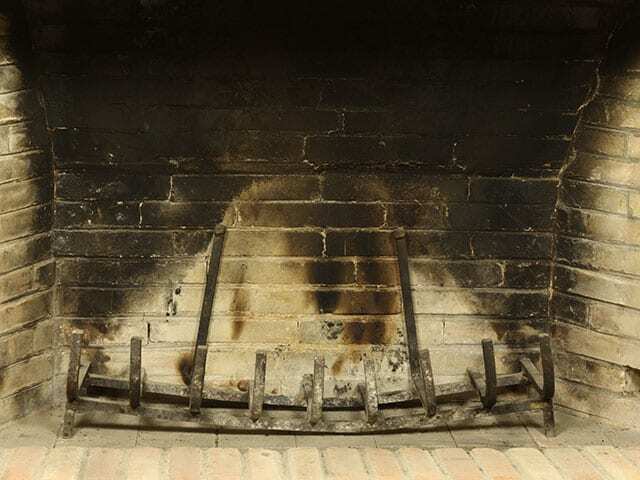 Don’t ignore a damaged firebox – let Jiminy Chimney help. Our goal is to keep our neighbors throughout Lake, McHenry, Cook, Dupage, Kane, Walworth, and Kenosha counties as safe as possible when enjoying a fire in their homes, by providing expert firebox repair and rebuild services. Is it time you had your firebox inspected for damage? Call Jiminy Chimney at 847-893-0063 or fill out our online appointment request form to get started! If smoke is a problem when you’re trying to enjoy your fireplace, the smoke chamber may need repair. Ask our chimney and fireplace repair experts to come take a look.